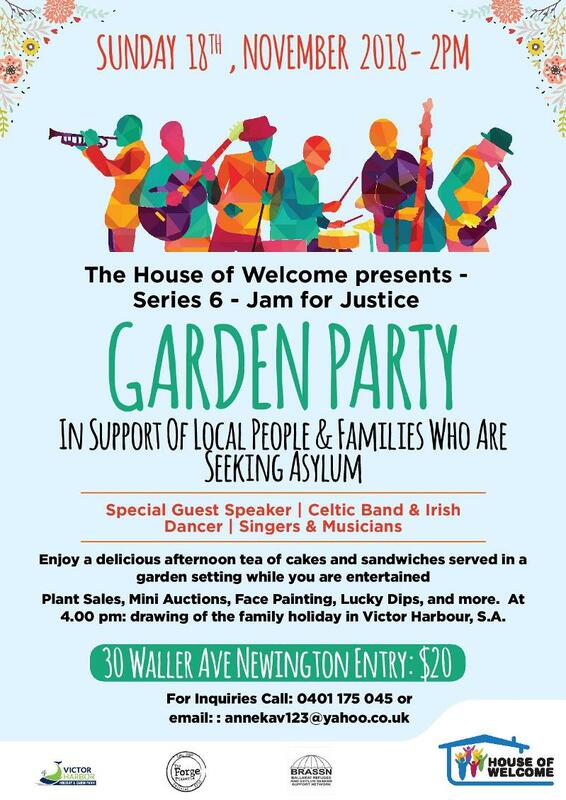 House of Welcome is hosting a garden party to support refugees, and local people and families, who are seeking asylum. Enjoy a delicious afternoon tea of cakes and sandwiches served in a garden setting while you are entertained. Special guest speaker, Celtic band and Irish dancers, singers and musicians, plant sales, mini auctions, face painting, lucky dips and more. Win a family holiday for up to 6 people for 3 nights in lovely Victor Harbour, SA. Tickets available now and on the day.